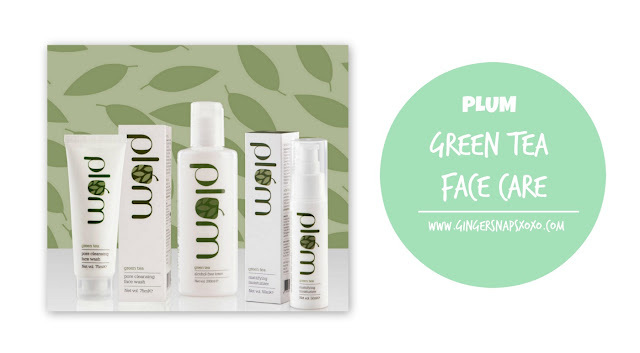 Today I’m going to review the Green Tea range of Face Care from PLUM. This is working positively for my oily & acne-prone skin. The range is Non-comedogenic, alcohol-free, light and immensely suited for oily skin. Green tea is one of the richest natural sources of antioxidants, and controls sebum oxidation thus helping control acne. Plum is a fresh new line of beauty products that’s all about “being good” - to your skin, to your senses, to others and to the environment. Now talking of Green tea Range of Skin care from Plum, it is strongly believed that Green tea in addition to its health benefits also has impressive benefits on skin care because it has antioxidants which makes skin look youthful, heals blemishes and scars, and reduces inflammation. 1. Green Tea Pore Cleansing Face Wash (75 ml): Safe for use on sensitive skin. Mild cleansing formula with organic green tea extracts which helps gentle exfoliation. 2. Green Tea Alcohol-Free Toner (200 ml): This alcohol-free facial astringent toner provides hydration to skin and refreshes skin to absorb moisturizer. 3. Green Tea Mattifying Moisturizer (50ml): This is All-purpose hydrating care with illuminating properties to give your face a healthy-fresh glow, non-shiny matte finish, & acne combat. 4. Green Tea Clear Face Mask (60g): There’s something magical about this mask, I must say this impressed me the most it felt super refreshing on my skin and the green tea formula felt cool /soothing. This once-a-week natural clay-based formula exfoliates and nourishes skin. Overall I am happy with the result of the Plum Green Tea Face Care, a refreshing range of products for this hot season. Plum products can be purchased from www.plumgoodness.com where they offer exciting bundle prices, free shipping and free cash-on-delivery. Also available at amazon.in, Flipkart.com, Nykaa.com, Purplle.com. So what does your summer skin care routine look like?